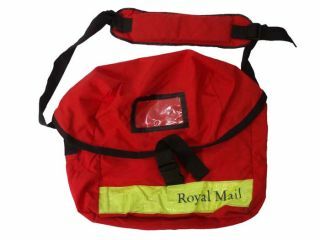 The postie's sack could soon be beeping, burping and packed with flavour. Post Office workers may not have achieved exactly what they wanted through the recent strike action and now the posties of the nation look like getting even more to carry in their sacks if the latest attempt to give the mail service a boost works out. At the behest of a marketing agency from Oxford, the Royal Mail will begin offering smelly, noisy and tasty mailshots to unsuspecting householders in a trial that seeks to add dimensions to direct marketing. The plan is to allow participating companies to pay a little extra to add sound, smell and even taste to their Royal-Mail-delivered advertising. The sensory experiences will be delivered by techniques similar to those used in some magazine advertising to add scent and flavour to printed ads or in greetings cards that play jingles when opened. There's no denying that traditional mail is suffering in the electronic age, but making unsolicited junk mail even more annoying than it is now is surely not the way to get us to love the Pony Express again. Here's a suggestion that might work for the Royal Mail - stop sending things we didn't ask for.